Singapore Group Study trip from Thailand! 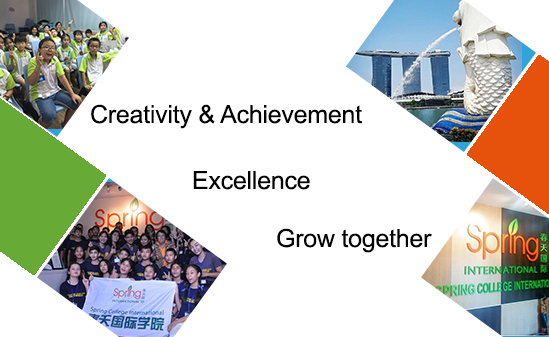 Singapore carries out British Commonwealth’s education system, it is Asia’s centre for education and also Asian students’ first choice for learning English, especially for neighbouring South-East Asian countries. Every year many international students come to Singapore to study or participate in short-term study trips. On 17th of March Spring College International welcomed 37 students from Thailand who along with touring took English classes. Besides English practice, the teacher specially organized themed activity for the students during which they were broken into five groups to discuss and give their opinions using only English. After the English course was completed, everyone received a certificate and took group photos with the teacher. Although the trip was short the students truly enjoyed their learning experience and all expressed hope that they will come to Singapore again to study longer and more deeply.